Welcome to this week's edition of Frugal Friday! Sorry I'm a bit late posting today..it was the last day of school for the kiddos. Helllllo Summer!! Last week's Fan Favorite was this clever house number planter by The Scrap Shoppe! I love paint chip art...and I especially love this chevron/brick pattern created by Decorating Cents. So clever. 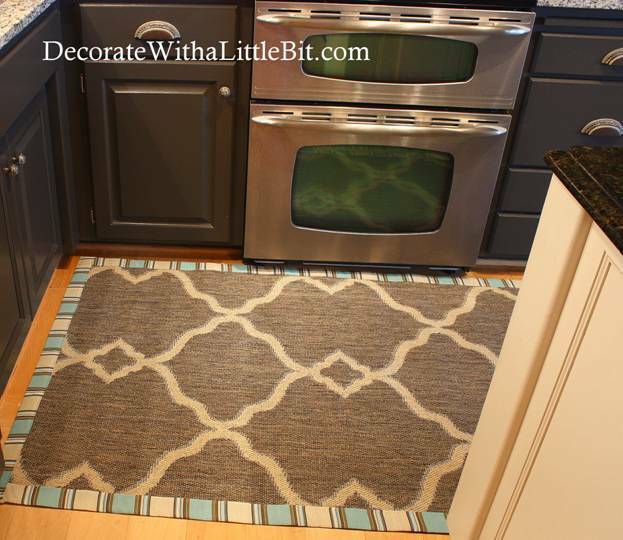 Decorate with a Little Bit shared her very clever solution for a rug to fit a difficult space in her kitchen. This is a great DIY! And last but not least, A Thoughtful Place shared her creative fix for a headboard that didn't fit quite right. Love this! 2. Please link back the Shabby Nest (you can use the pretty new button on my side bar to make it easy.) I only feature projects in my Frugal Round-up that link back to The Shabby Nest. I have passed up some great features because they didn't link back..so please use common courtesy and return the link! MWAH!! 3. Please visit other participants and leave them comments! Help them feel "the love!" And don't forget to "like" your favorite posts so they can become the "FAN FAVORITE!" As my granny used to say- Just loverly! great features! I love the house number planter box! thanks for hosting, think this might be my first time linking up. 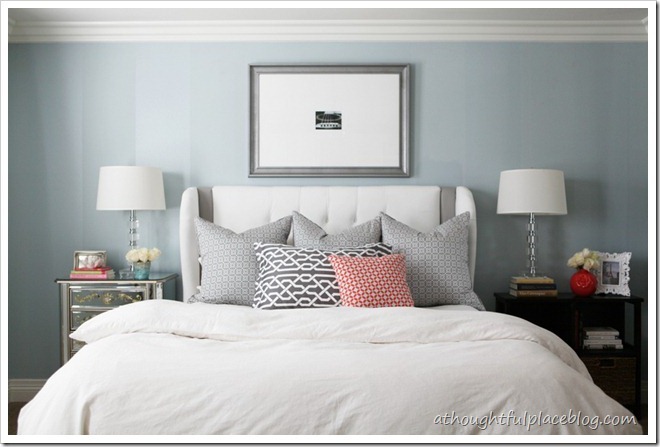 Wow - great features - I love that headboard - what a fantastic idea! I'm so excited to have been the fan favorite last week! Thank you so much for the feature, Wendy! thanks for hosting :) love your cute planter! Can't wait to hop around. Yipee! School's out for summer! Enjoy! Thanks so much for hosting today's party! Thanks for hosting! Some great link ups this week! I never get tired of paint chip art. People's creativity is endless. Have a beautiful weekend. We have one more week of school, then my sanity will return....or not! What an amazing party each week, thank you so much for hosting. Can't wait to see what everyone has been up to this week!